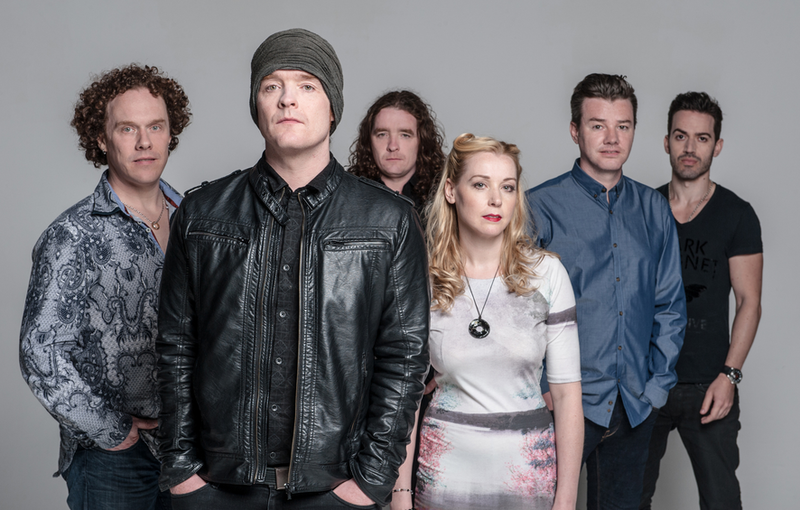 Anathema’s career trajectory has certainly been one of the more compelling, and equally divisive, ones in metal and beyond; from their Peaceville 3 days to gloomy melodic rock to their ebullient life-affirming alternative rock of today. It’s only the band’s early work that ensures they are still spoken about amongst metal circles because, let’s face it, if Distant Satellites or Weather Systems et al were this band’s first album, you wouldn’t be reading about them in Terrorizer and seeing them on a Download line-up. It’s indicative of people clinging to the past too much. It’s why there’s always one dude at an Anathema show shouting out for ‘Restless Oblivion’. Anathema themselves are anything but obsessed with the past though. In fact, they’ve spent a great deal of time trying to expunge their early material from their own personal history books. They even re-worked material from Serenades and The Silent Enigma into beautiful orchestral arrangements in 2011 for the Falling Deeper record, which was sacrilege or a triumph depending on what side of the garden fence you live on. Nowadays, live set lists rarely go back as far as Alternative 4, save for the likes of ‘Fragile Dreams’ or ‘Inner Silence’. Anathema have little affection for the past but they know it cannot be eradicated entirely so they focus all of their efforts on creating a new future, something they’ve spent the latter half of their career doing and it couldn’t be more clear than on this new album. Distant Satellites feels like an important watershed moment for Anathema. They’re changing again and the album seems conflicted in that regard. There are the flourishes of We’re Here Because We’re Here and tracks like ‘Untouchable’ to be heard but in many ways, Distant Satellites sounds like two albums tacked together. It’s certainly a front-loaded record anyway, with its finest moments served up in the first couple of tracks, gently meandering off into the ether after that. Much like Weather Systems, Distant Satellites opens with a suite of tracks in ‘The Lost Song’ parts one and two, laying out a grandiose opening salvo. Part one sees gorgeous string arrangements and Vincent Cavanagh on fine form vocally, all topped off by an uncharacteristically frantic but no less exhilarating crescendo that leads us into the calm of part two, led primarily by Lee Douglas. It’s taken a few years but over the last two albums, Anathema have finally realised what a powerful vocalist Douglas is. Her voice is markedly different from Vincent Cavanagh but no less blissful, which could even rival him. She also appears to have taken on many of the complementary vocal roles of Danny Cavanagh, whose vocal contributions on this album have been reeled in, mostly for the best, letting his brother and Lee Douglas do the heavy singing lifting. Vincent is still the star when it comes to the vocal department though as you’ll hear on third track, the utterly entrancing ‘Dusk (Dark is Descending)’ but something should of course be said for the instrumentation, where new keyboardist Daniel Cardoso has been given much more room to work with than his predecessor Les Smith had. Meanwhile, the acoustic and electric guitar work is what drives much of the record’s early work forward, truly coming to a head with the rich Floydian solo of ‘Ariel’. Once the ‘The Lost Song Part 3’ draws to a close, the album’s second half comes into effect. Strangely, the band has penned a self-titled track. What does this mean? It feels like the band once again washing themselves clean of the past and starting fresh. Perhaps it’s appropriate as this track instigates the flipside of this coin, one powered by many IDM and electronic components and influences. Where ‘Anathema’ maintains its precursors’ traits, it’s unfortunately static and seems cobbled together with ideas that didn’t make it into the first couple of tracks. Rather, it’s an icebreaker for ‘You’re Not Alone’, a feverish rush of electronic beats and repetitive vocals. It hasn’t been uncommon for Anathema to throw a spanner into the works like this of late (See ‘Get Off, Get Out’ from We’re Here… and ‘The Storm Before The Calm’ from Weather Systems). What makes this one different is its lasting effect, followed by the brief respite of ‘Firelight’, leading into the eight minute title track, with its IDM-heavy beats, sounding like a cross between Jon Hopkins and Bvdub, albeit with Cavanagh’s distinct vocals layered on top. 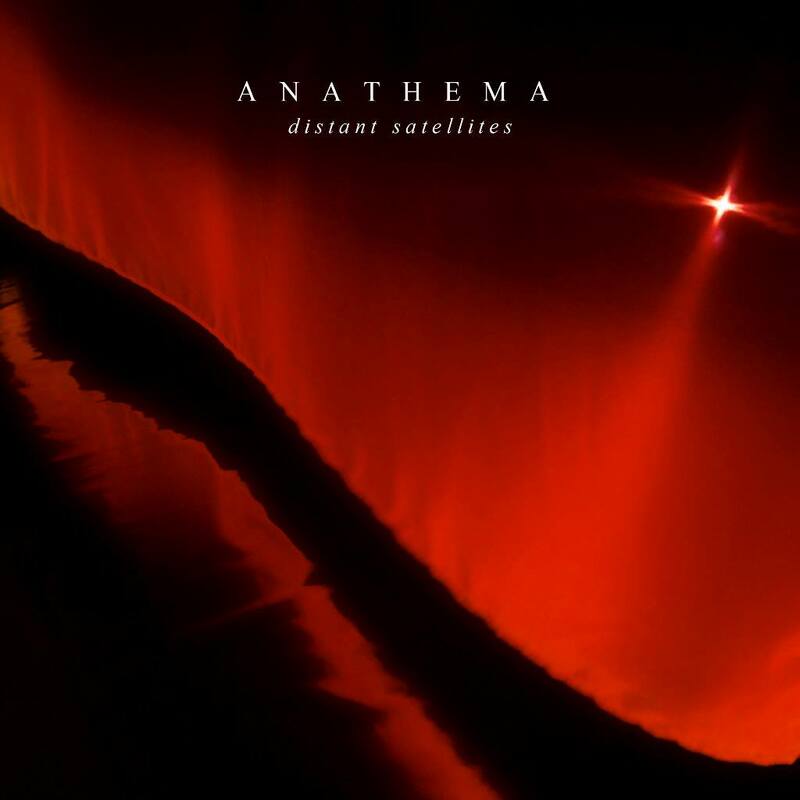 We dwell on Distant Satellites’ second half but it will be a pivotal moment for Anathema. This is the band evolving again like how they made the transition from the gloom and sorrow of 1999’s Judgement into the even more melodic tones of A Fine Day to Exit and A Natural Disaster. No will be able to rightfully say that they’re shocked if the next Anathema album is dominated by these new moods and tones. The album closer ‘Take Shelter’ leaves question marks behind, intentionally so; questions that are likely to be addressed in the coming years in new music. Once again, the song is rich in keyboards with the guitars sent to the background. We should address the elephant in the room too, ‘Take Shelter’s opening minutes sounds a bit like Coldplay’s ‘Fix You’ (which is certainly not going to win over the older fans still clutching their Serenades LP), before the song blossoms into something else entirely. Distant Satellites is like two records. One is the Anathema of the 21st century that has released some of the most compelling and beautiful rock records of the last decade or so. The other is the Anathema of the future. Whether the band intended it or not, Distant Satellites is a statement of intent and for that reason it actually trips up a lot, with the album lacking the fluid coherency of one complete body of work. Moments like the self-titled track struggles to create a logical bridge for the band to cross into new terrain, while its opening numbers are Anathema at some of their best. In a few years we’ll probably look back on Distant Satellites as a notable album, though largely a patchy work. Tags: Anathema. Bookmark the permalink.